Absolutely refreshing non-alcoholic beverage. 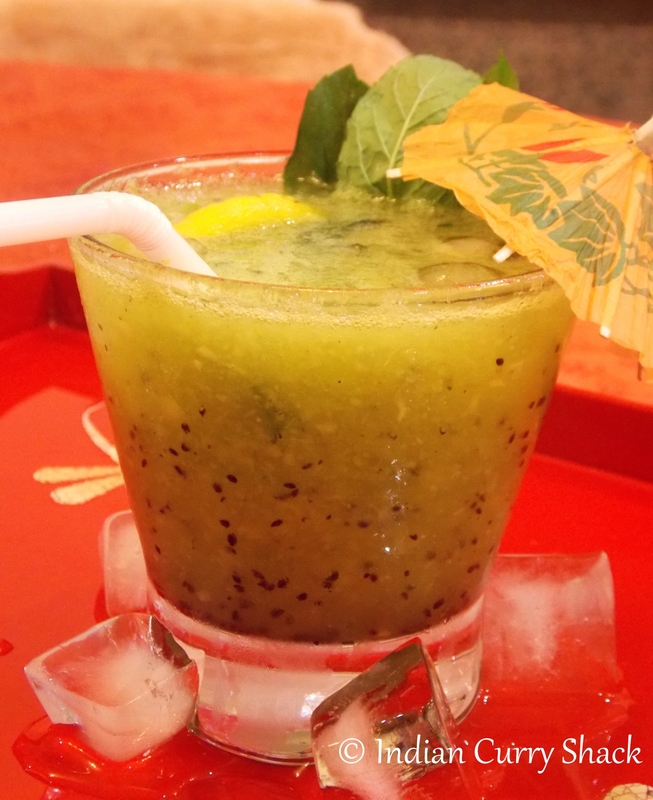 My all time favourite Virgin Kiwi Mojito. Ready in 3 simple steps. 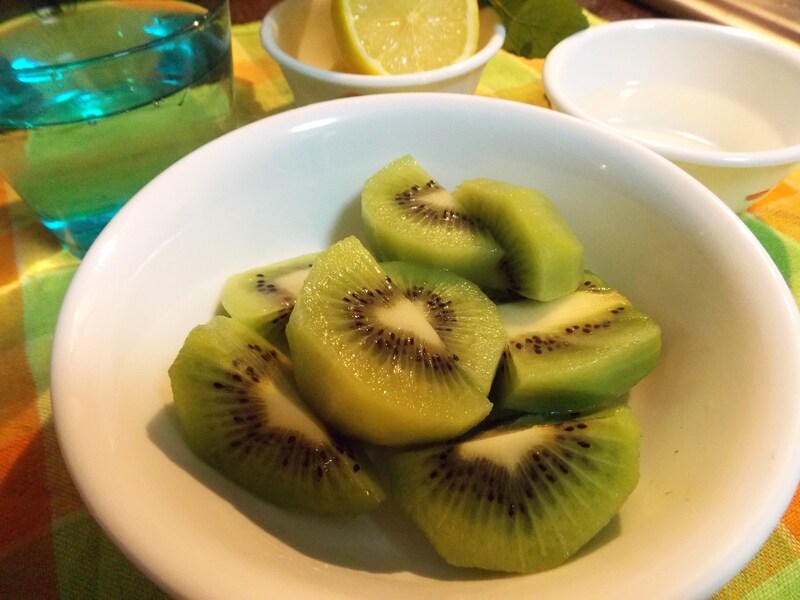 Blend peeled kiwis with some ice cubes to a smooth puree. Slice a lemon and divide the slices into two glasses. Place some fresh mint sprigs in each glass and muddle them. Divide the puree equally into the glasses. Squeeze half lemon into each glass and mix. Equally divide the sugar syrup in both the glasses and mix well. Add some more mint sprigs and ice cubes. Top it up with sprite or soda and give a stir. Serve chilled. I might have to double this recipe so that I have enough for seconds. Thanks for sharing it with us at Fiesta Friday.